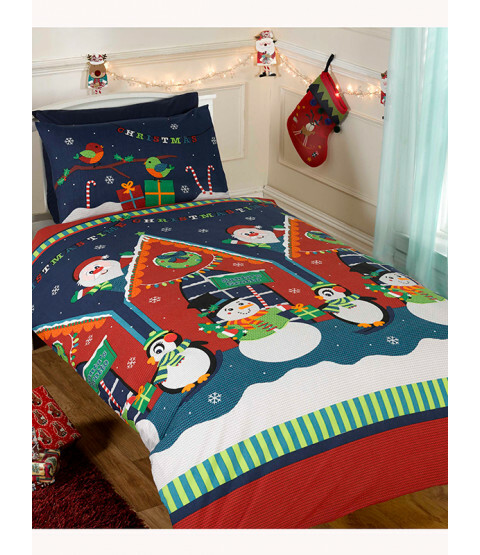 Add a touch of magic to any bedroom with this fun and festive Santa's Grotto junior duvet cover set. The adorable design has cute robins on the pillowcase, while the duvet cover features Santa peeking out from behind his Christmas grotto, with snowmen and penguins in front of it. This toddler bedding set is suitable for machine washing and tumble drying.